BMW Motorrad presents the new Navigator VI, available from March 2017 alongside the existing Navigator V, comprising a new navigation system with numerous innovative features in addition to further enhanced functionality. The new system retains the same external dimensions as before, as well as the 5"display, which, thanks to the inclusion of a circular polarisation filter, now benefits from enhanced readability, particularly in strong and direct sunlight. Munich. BMW Motorrad presents the new Navigator VI, available from March 2017 alongside the existing Navigator V, comprising a new navigation system with numerous innovative features in addition to further enhanced functionality. The new system retains the same external dimensions as before, as well as the 5" display, which, thanks to the inclusion of a circular polarisation filter, now benefits from enhanced readability, particularly in strong and even direct sunlight. 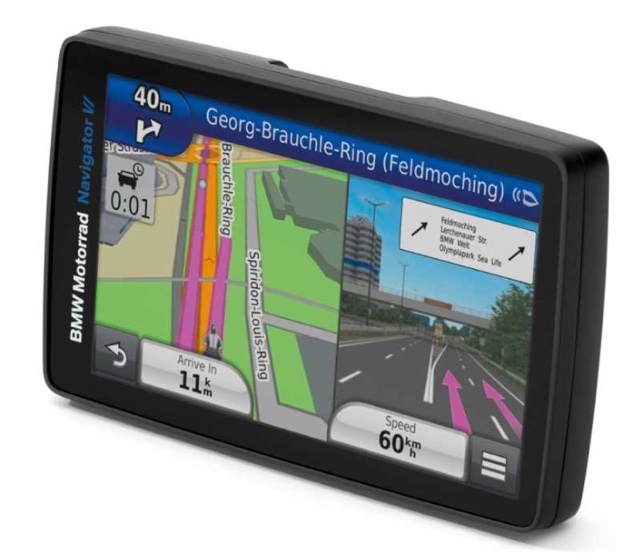 Not only has the internal storage capacity been increased from 8 GB to 16 GB (for the EU/US; the device with no preinstalled maps still has 4 GB), but the new Navigator VI now offers the "Winding roads" route option for avoiding built-up areas, providing the roads and conditions allow. Another new feature available for computing routes is "Avoid main roads". Used in conjunction with the existing "Avoid motorways" function, selecting the most suitable roads for motorcycling is now even better. The "Round Trip" function configures trips based on time, distance or interim destination, offering one more new way of creating a highly individual and intensive motorcycling experience. With the "Natural Guidance" function, navigation instructions also provide precise descriptions of the surroundings. The new "Music Streaming" feature, which works in conjunction with Bluetooth, makes it possible to listen to music stored on a smartphone. Even compatible action cams can be controlled directly through the Navigator VI. The comfortable and intuitive operation of all the controls that are typically needed while riding can be model-specifically enabled using either the four-button mount cradle or the multi-controller on the handlebars. Additional functions such as the "My Motorcycle" pages as well as warning and status messages are available in conjunction with the navigation preparation. Traffic congestion and weather reports can be displayed in real time using the optional Garmin Smartphone Link App. With all future updates of preinstalled map data available free of charge plus an optional car installation kit, the new BMW Motorrad Navigator VI is the perfect companion for people on the road. Toronto ON – January 25, 2016 – The Board of Directors of the Canadian Motorcycle Hall of Fame is pleased to announce the third member of the Class of 2016. 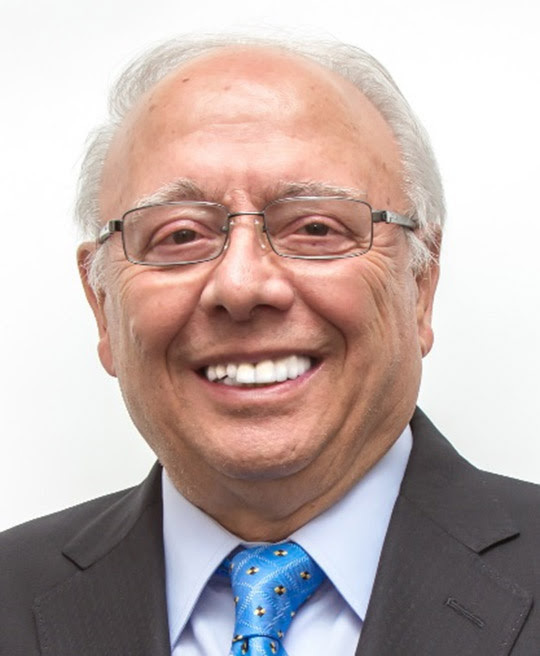 Carlo Paladino will be honoured at the 11th annual Induction Banquet and Reunion which takes place February 25, 2017 at the Sheraton Montreal Airport Hotel in Montreal, Quebec. Carlo Paladino charged onto Canadian shores in the summer of 1963 like a blast of wind from across the Mediterranean. What brought him here is a love story. His sweetheart emigrated in 1961 but Carlo was bound by two years of military service. He finally arrived in 1963 and he and Maria were married shortly after. Carlo had a dream of owning his own business and envisaged a national operation. Starting from scratch, and with a bank loan guaranteed by the equity in his home, he kept stock in his basement and delivered goods in a rusty old truck, keeping up a brutal schedule, starting early and working late. Today Motovan operates out of Quebec, Edmonton and London and employs 200 people across Canada as well as facilities in the U.S.A. Since the beginning Motovan has been a generous supporter of motorcycle sport in Canada with financial contributions, donation of product and linkage of riders with product suppliers worldwide. Carlo helped sponsor Yvon, Mario and Miguel Duhamel in both motocross and road racing since the early 1980s and contributed clothing and helmets to Jean-Sebastien Roy since the days JSR was a junior rider. Others include Marco Dubé, Guy Giroux, Steve Crevier, Pascal Picotte and Jordan Szoke. In the past 15 years alone Motovan has contributed more than $5 million worth of product at wholesale value to amateur and pro racers well as $2 million toward race series and other organized events. “Carlo Paladino’s activities in the motorcycle community make him a perfect candidate for the Canadian Motorcycle Hall of Fame. His legendary enthusiasm for sponsoring racers, events, and virtually anything to do with motorcycles will not be forgotten. The Chair of the Board and the Directors are pleased and honoured to welcome Carlo to the Class of 2016”. Tickets for the Eleventh Annual Canadian Motorcycle Hall of Fame Induction Banquet and Reunion are available at www.canmoto.ca. Victory Motorcycles® is excited to launch “Operation Octane,” a contest that has Victory dealers competing against each other by turning wrenches to create the ultimate custom Victory Octane®motorcycle. You’ve seen Victory Octane customs built by motorcycle industry icons like Zach Ness, Aaron Colton and Rick Fairless. Now, over 20 Victory dealers from around the world have created their own interpretations of the light, fast and affordable Octane. Dealers participating in Operation Octane were asked to utilize a 2017 Victory Octane, however their build inspirations and themes were up to them. There’ll be four winners – a North American champion, North American runner-up, International champion and International runner-up – who’ll compete for prizes including a 1st place of $5,000 and inclusion in a print ad, and a 2nd place of $3,000. The four winning dealers will be determined by the voting public. Fans of Victory Motorcycles are invited to vote for their favorite bike online at VictoryMotorcycles.com until November 21. Voters will be entered for a chance to win a free 2017 Victory Octane, $3,000 worth of Victory Octane parts, garments & accessories, plus a trip to meet and customize their awarded Octane with TV’s Bryan Fuller and his Fuller Moto design shop. Available in Gloss Black ($9,999), Matte Super Steel Gray ($10,499), Matte Pearl White ($10,499) and Gloss Black with Graphics ($10,499), the2017 Victory Octane features a high revving liquid-cooled 60-degree V-Twin with four-valve heads and dual-overhead cams that makes 104 horsepower and 76 foot-pounds of tire-shredding torque. While it has the heart of a Pikes Peak International Hill Climb™ racer and a 0-60 mph time that makes it the quickest Victory ever produced, there’s also a stiff and lightweight cast-aluminum frame, sharp steering geometry, a tight wheelbase and 32 degrees of lean angle. Learn more about Operation Octane and Victory Motorcycles at VictoryMotorcycles.com or follow on Twitter, Facebook and Instagram. The Motorcycles segment continues to perform well. Worldwide sales of BMW motorcycles and maxi-scooters during the three-month period from July to Septembertotalled 35,290 units, 3.8% more than the previous year. Third-quarter segment revenues amounted to € 451 million (2015: € 454 million; -0.7%). Earnings were also down on the previous year, mainly due to expenses incurred during the start-up phase of a number of projects connected with implementing BMW Motorrad’s new strategy. EBITcame in at € 32 million (2015: € 46 million; -30.4%), while profit before tax also finished at € 32 million (2015: € 45 million; -28.9%). The segment delivered 116,044 (2015: 112,411) motorcycles and maxi-scooters to customers during the first nine months of the year, an increase of 3.2% compared to the previous year. At € 1,650 million, segment revenues were similar to the previous year (2015: € 1,643 million: +0.4%). EBIT amounted to € 224 million (2015: € 273 million; -17.9%), while profit before tax finished at € 223 million (2015: € 271 million; -17.7%). A perfect season in any sport is considered a once-in-a-lifetime achievement. The National Football League’s Miami Dolphins went 17-0 in 1972 and have been waiting for someone to match them ever since. But at this weekend’s doubleheader final round of the Mopar Canadian Superbike Championship at Canadian Tire Motorsport Park Jordan Szoke will be bidding for his third perfect season, and second in succession, in addition to claiming an 11th Canadian Superbike title. The 37-year-old racer from Lynden, Ont. went unbeaten for the first time in 2010 before running the table again in 2015, capping off his remarkable year with a doubleheader sweep at CTMP. This season Szoke has victories in all five Mopar CSBK races aboard the Mopar Express Lane / Motovan / BMW Motorrad BMW S1000RR and enjoys a commanding 51-point lead, 268-217, over Kenny Riedmann heading into this weekend’s doubleheader. A weekend sweep would not only assure Szoke of his third perfect campaign, but also give him 59 Canadian Superbike race wins and 14 at CTMP, both all-time records. However, with two points paying races on tap this weekend and 50 points for a race win, it would not take much for Riedmann to turn the tables on the defending champion. The 24-year-old from Belfountain, Ont. has finished second to Szoke in each race this year and led most of the most recent round at Atlantic Motorsport Park. The rider of the Sturgess Cycle / Liqui Moly / Joe Rocket Kawasaki ZX-10R Ninja came within a turn of ending Szoke’s perfect 2015 season at CTMP last year and will be looking to close the deal this time around. Another rider capable of upsetting Szoke is top BCR Pro Rookie of the Year contender Ben Young. The 23-year-old from Collingwood, Ont. lies third in the point standings with 186 points on the Tim Horton’s / Scot-Build Developments / BMW Motorrad BMW S1000RR and has finished on the podium four times this year. Also worth watching will be Warman, Sask.’s Bodhi Edie. The 20-year-old rider of the Trip-Dub Racing / Z1 Cycle Tech / Birkett Freight Solutions Yamaha YZF-R1 has been out of action most of the summer after a qualifying crash at Autodrome St-Eustache in June, but is due back at CTMP this weekend and scored his only career Canadian Superbike win on the high-speed 3.9km (2.459-mile) 10-turn track in 2013. There is also a tight battle for fourth in the Mopar CSBK standings, with only 11 points separating the three contenders. Beaconsfield, Que.’s Michael Leon enjoyed a season-high fourth place finish at AMP on the Royal Distributing Race Team / BMW Motorrad / Pro 6 Cycle BMW S1000RR. Riding the MotoNation / Laval Moto Kawasaki ZX-10R Ninja, Mirabel, Que. rider Tremblay has a history of strong results at CTMP, while Mississauga, Ont.’s Daley had his most competitive weekend of the season at AMP with the OneSpeed Yamaha YZF-R1M. A highlight of Friday’s action will be the debut of special Dunlop Qualifying Tires for the Dalton Timmis Insurance Pole Position Shootout, as riders make an assault on Brett McCormick’s five-year-old track record of one minute, 20.866 seconds. In other doubleheader action at CTMP this weekend, Riedmann is in position to claim his third straight Liqui Moly Pro Sport Bike title on his Kawasaki ZX-6R. He comes into the two races with a massive 98-point lead, 220-122, over rookie Pro Alex Coelho of Brossard, Que. on the Black Sheep Racing / Liqui Moly / A.G. Graphique Kawasaki ZX-6R, while former two-time Superbike champion Michael Taylor of Toronto is just a further point back in third riding the Triumph Canada / GP Bikes / Goderich Toyota Triumph 675. Last year’s co-winner of the BCR Pro Rookie of the Year Award Tomas Casas of Peterborough, Ont. has two podium finishes on the Peterborough Cycle Salvage / Parts Canada Yamaha YZF-R6. Jean-Marc Bilger of Montreal comes to CTMP leading the Magneti Marelli Amateur Superbike class on his BMW S1000RR, while Ottawa’s Chris Brent tops the Shoei Premium Helmets Amateur Sport Bike class with a Honda CBR600RR. In the closest points battle, Ile Perrot, Que.’s Eric Quintin enjoys a slender one-point advantage over Windsor, N.S. rider Brandon Pemberton in the Kawasaki Ninja 300 Spec National Series. Competition begins on Friday with qualifying. Feature races in all five national classes will be held Saturday and Sunday. For more information and to order tickets, call the Canadian Tire Motorsport Park Hotline at 1-800-866-1072 (Monday to Friday from 9 am to 5 pm ET), visit online at www.canadiantiremotorsportpark.com, or email info@ctmpark.com. …The year-end payout for the four national classes at CTMP (excluding the Kawasaki Ninja 300 Series) will be a total of $64,000, 20 percent more than last season, with the biggest single payout going to the Mopar Pro Superbike champ at $10,000. The Kawasaki class is new this season. …The only win for an Aprilia in CSBK competition came courtesy of Frank Trombino in a wet race one at CTMP in 2014. It was his third career victory at the track, after he had scored back-to-back wins on a Yamaha in 2000 and 2001. Ducati scored its sole CSBK feature success at CTMP in 1995, with Jeff Sneyd aboard. …Jordan Szoke has swept the doubleheader at Canadian Tire Motorsport Park four times. Pascal Picotte of Granby, Que. also managed the feat, pulling it off twice. 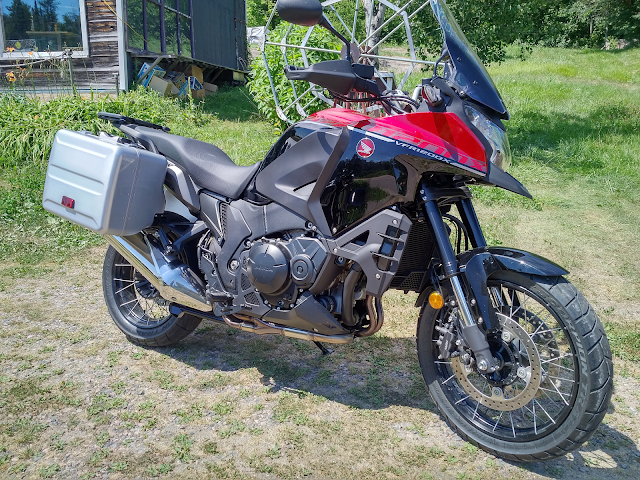 A couple of brand new Honda’s (CB1100A and VFR1200X) were dropped off here recently and my buddy Gilbert and I couldn't resist going on a pre ride with both motorcycles over the long weekend. A lot of folks have been asking me what I thought of the VFR1200X. Well, the big impression with this motorcycle, has got to be the terrific engine. Hands down. I mean, the V4 engine sounds great in this configuration (new cams and ECU programming) and the torque is terrific everywhere up and down the rev range. The fly by wire throttle delivers superb feel and the sound from the single pipe is sweet. The adjustable suspension pieces are a nice touch here and the handling is superb. Everything has been nicely calibrated to allow both single and two up riding. I really like how this bike handled. Linked anti lock braking is standard and totally up to the job while the crossed laced spoke wheels were perfect for the pavement. And they managed "ok” on the hard-packed dirt roads we explored. To make your touring life easier, the VFR1200X comes with a really nifty adjustable, on the fly, windscreen, heated grips, hand protectors, a hand 12 volt power socket for your GPS. You can also order the optional hard bag luggage system with internal liner bags. The system is top drawer, however there were a couple of minor gripes. The saddle was a bit of a let down - it’s been sculpted to allow for riders with a shorter inseam to be able to reach the ground. Great for shorter riders.. not so great for my glutes! After a couple of hours of riding, I found myself thinking that if I owned this motorcycle, I’d probably swap the saddle our for something with more cushion. The other tiny pet peeve? I don’t know if it’s my aging eyes, but I really found the instrument pod a tad lacking. Maybe it was because I was jumping back and forth with the CB1100A. A retro standard motorcycle with two great sweeping analogue gauges. I dunno. Not a huge deal. But I’d love to see a bigger info screen on this puppy. Overall though, I loved the VFR1200X. If you are looking for a bike that can pretty much take you anywhere as long as the road is mostly paved. A motorcycle with lots of room to stretch out and move around. A motorcycle with a great suspension set up that delivers great handling when the road turns twisty. If you like throaty, torque loaded engines with unique character that delivers plenty of power across the width of the power band, then this is the bike for you! Also, don't forget that we will be once again throwing a party for fans of our TV show at the end of September and you are all invited to ride out and join in the celebration! That’s right, our Prince Edward County based motorcycle television show will play host on Saturday, September 24 at the Hillier Creek Estate Winery just south of Trenton, Ontario in the heart of the County’s wine region. As you know, our long running TV show, which is shot primarily in Prince Edward County has been on the air for over 27 years, and as the show's presenter, I’m looking forward to playing host down in the County from 8:30am to 3:30pm. Once again the Honda Canada demo ride crew will be on hand providing motorcycle demo rides and party favours. Plus this year I’m happy to announce that we’ve partnered up with the local, Eastern Shield chapter of the Canadian Vintage Motorcycle Group and they will be on hand with a large vintage motorcycle display. Meanwhile in Episode 4, my riding buddy Norm Wells and I ride through the valley of fire east of Las Vegas, Nevada and wind up stealing home plate. Then during this weeks “Red Adventure”, former professional road racer turned expert enduro rider, Toni Sharpless looks at under armour. While on the subject of body protection, our resident riding Instructor Clinton Smout will stop by this week to discuss the riding shoulder seasons. Plus motorcycle journalist, Colin Fraser will roll up with some advice on shopping for a used set of wheels while looking back at a 2007 Harley-Davidson Night Rod. Hope you like the show! Banner year for BMW Motorrad in the works? This year continues to be the best ever for BMW Motorrad, with year-to-date sales up 2.1% compared with the same period last year: 94,546 motorcycles and maxi-scooters were delivered to customers in the first seven months of the year. Monthly sales for July achieved almost the same extremely high level as last year with 13,792 units sold, a slight decrease of 2.7%. MINNEAPOLIS (August 8, 2016) — Indian Motorcycle®, America’s first motorcycle company, unleashed its all-new Indian Scout FTR750 flat track race bike in a place synonymous with the brand – the 76th annual Sturgis Motorcycle Rally. The event is the latest milestone in the historic return to professional flat track racing for the brand, while the Scout FTR750 represents Indian Motorcycle’s bid for a strong return to AMA flat track racing. The Indian Scout FTR750 was revealed at the “Motorcycles as Art” industry event that took place at the famed Buffalo Chip in Sturgis. Special guests on-hand were the two surviving members of the legendary Indian Wrecking Crew, Bobby Hill and Bill Tuman, both of whom are AMA Hall of Fame members. The third member of the Wrecking Crew, Ernie Beckman, passed away in 1999. The motorcycle featured the #51 of Bill Tuman, as a tribute to the last rider to win a Grand National Championship on an Indian in 1953.
and is wrapped in a unique steel frame that allows for a tight wheelbase, large centrally located airbox and unique lightweight carbon fiber body. The design of the race-only bike reflects the heritage of key Indian racing models from history including the Big Base Scout; a historic bike that won in Daytona, dominated events across the country and is still raced in Vintage competition today. The platform offers eleven views of the bike, including side, three-quarter, rear, front, from above and from the riding position. Even the setting can be personalized. The Ducati Scrambler configurator can also be used to choose trendy and practical apparel from the latest collection dedicated to the brand. In order to ensure safety, comfort and style, Scrambler apparel include jackets, trousers, gloves, footwear, t-shirts, glasses and even helmets and goggles, all useful and fun. 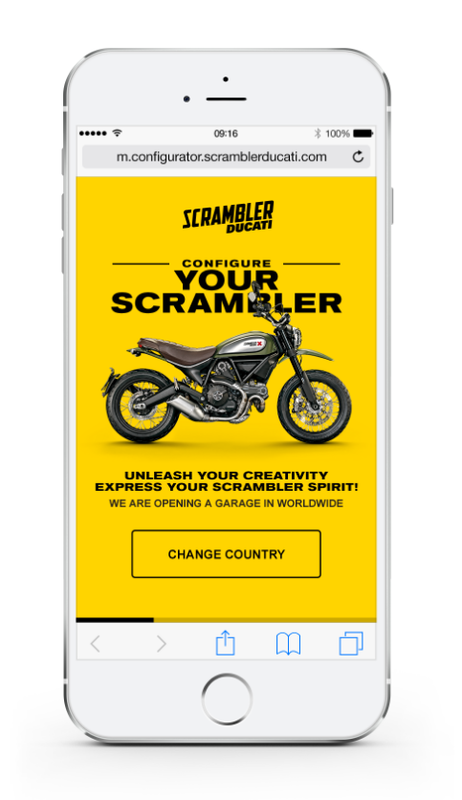 There is also the ‘Hop on your motorbike’ option, an additional function that lets the customer share a configuration with his/her closest Ducati Scrambler dealer and receive useful feedback in real time. The configurator also allows for via social media sharing. “Thanks to the new Scrambler configurator, we create the perfect bike for our fans, in a quick and simple way”, comments Piergiorgio Grossi, Ducati Information Technology & Digital Transformation Director. “In addition, we provide them with many useful options so that they can enjoy an experience that is not just about bikes, accessories and clothing, but also instils the sense of belonging to a large Community. This is one of the first steps of Digital Transformation to be implemented by Ducati and results are proving to be significant and competitive. We would like a Ducatista to be a Ducatista not only when riding but everywhere, at all times, and this becomes possible when the Ducati experience also incorporates all the new digital tools”. Claudio De Angeli, Scrambler Ducati Brand Unit manager, confirms this. “I’m proud that this digital evolution beginning with the Scrambler brand that has always considered viral, informal communication to be one of its strengths. It was no coincidence that in 2014 we chose to focus on digital channels when launching the new Scrambler concept. That was the starting point and today we have an extensive Community through our Instagram, Twitter, Facebook and Vimeo pages and via our site. In addition, in the last few days, we’ve also opened a YouTube channel and launched the first Scrambler app dedicated to street food, The Taste of Joy*”. 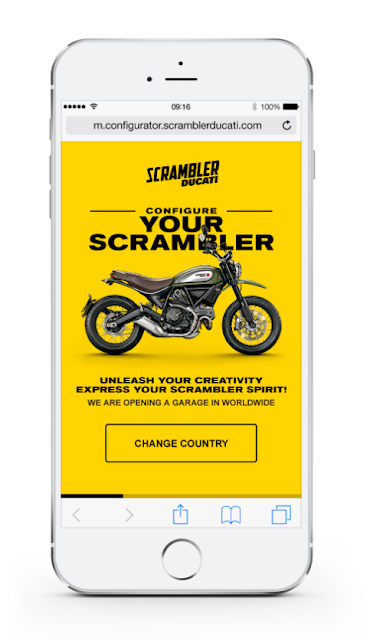 To follow Scrambler Ducati activities on social networks, click on twitter.com/scramblerducati, facebook.com/scramblerducati, instagram.com/scramblerducati andyoutube.com/c/scramblerducati-official. The final events in the 2016 Mopar CSBK Series at Canadian Tire Motorsport Park, Ont., August 19-21, will feature the use of soft option Dunlop Qualifying slick tires. For Dalton Timmis Insurance SuperPole Qualifying at Canadian Tire Motorsport Park on Friday afternoon,August 19, a special second timed session will allow the top 10 riders in the Mopar Pro Superbike class to utilize the unique rear slick super soft ‘Q tire’ for their timed laps. 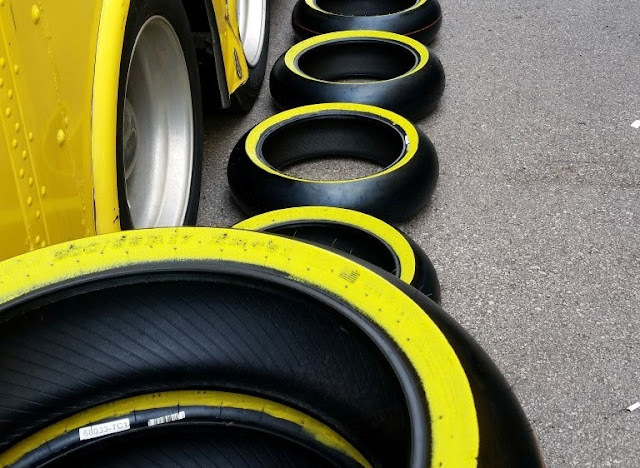 The special Dunlop Qualifying tires will be recognizable to fans by their sidewalls decorated with a broad yellow stripe. At 2016 CSBK rounds, the Dalton Timmis Insurance SuperPole session establishes the top 10 positions on the starting grid for Saturday and Sunday’s Feature races, as well as awarding $2,000 in prize money to the top five and a Rockwell watch to the winner of DTI Pole Position. Qualifying and each Pro Superbike race are covered in a 30-minute segment, broadcast on TSN. The special Dunlop slick ‘Q’ tire will be released to the top 10 riders after the opening portion of Dalton Timmis Insurance SuperPole, giving those racers sufficient time to place the new tire in warmers and adjust their motorcycle as they see fit for the increased traction. In 2015, pole position for the Pro Superbike races at CTMP was taken by the Hindle Yamaha YZF-R1 of Alex Welsh of Uxbridge, Ont. Welsh turned a best ‘Q’ lap of 1:21.852 around the 4.03km-long, 10-turn, formerly-known-as-Mosport venue. In the 2015 races, double winner Jordan Szoke of Lynden, Ont. set the fastest race time with his 2015 title-winning Express Lanes/Motovan BMW S1000RR. In Sunday’s second Pro Superbike round of the CTMP event, Szoke turned a fastest lap at 1:21.677 on his way to a perfect, seven-victory season. Michael Martin has been travelling to the most distant corners of the earth for more than 30 years now and has become the world’s most renowned desert photographer. 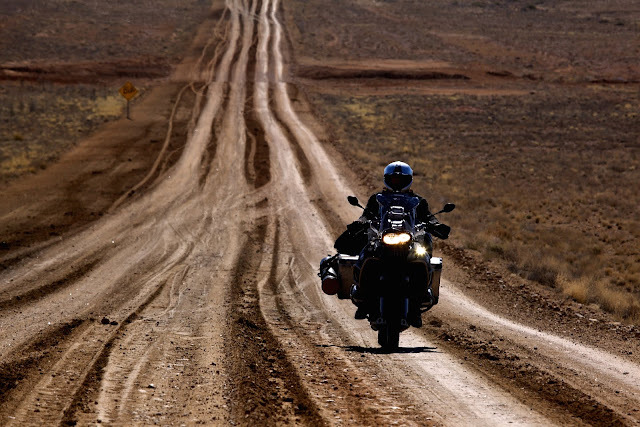 It was 25 years ago that the qualified geographer chose the motorcycle as his preferred expedition vehicle, actually a BMW R 100 GS, on which he undertook the Transafrica trip from Kenya to Cape Town. 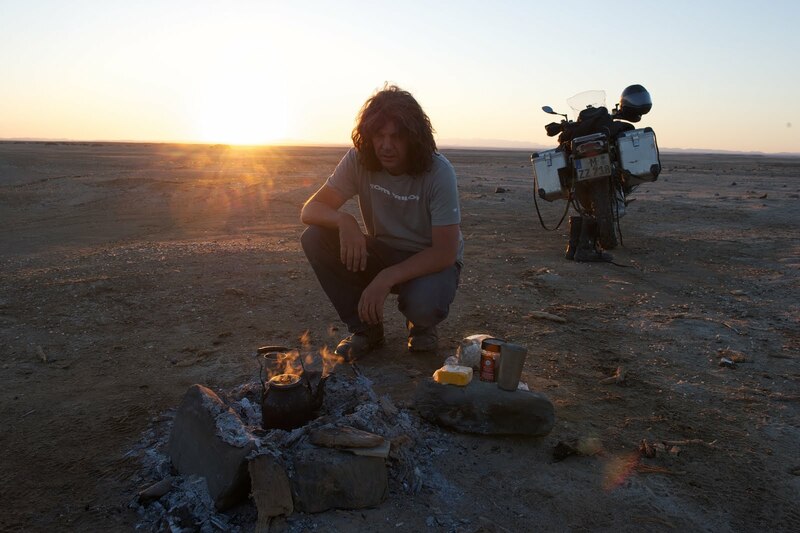 “To me the motorcycle seemed to be the ideal means of transport for going on my long-haul adventure travels to the most remote parts of our planet. Compared to a car, it is very light and agile and narrow enough to travel even on narrow paths. It was thanks to the great enthusiasm of two BMW employees for Africa that my touring companions and I were able to set off on our dream motorcycle, the BMW R 100 GS. We were overjoyed. And then we even managed to convince Lufthansa to fly our machines to Nairobi free of charge. From there we started out on our first big project”, recalls the 53-year old. Exploring Africa was something Michael Martin simply wasn’t able to resist. In 1995 and 1998 he went on expeditions to the Nile and to the deserts of Africa. Now he was already in the saddle of an R 1100 GS. “It was during this time I decided to concentrate above all on the topic of deserts. In 2000 I then began the project ‘Deserts of the Earth’. This time I was riding an R 1150 GS, which had once again improved on its predecessor’s qualities”, recalls Michael Martin. 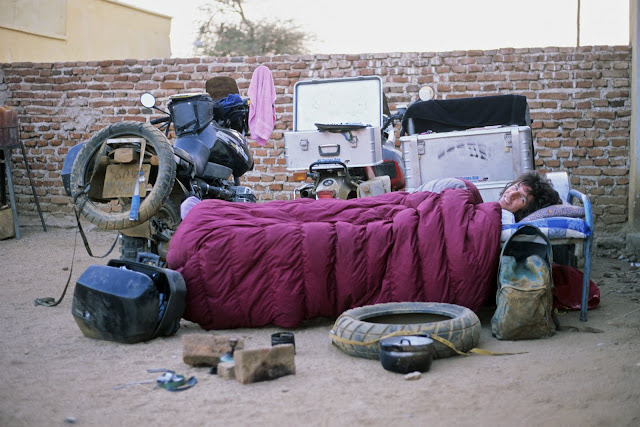 In 2009 Michael Martin went travelling and photographing for his new project “Desert Planet”, now on an R 1200 GS Adventure which was virtually created for just such extreme demands. Because this time around Michael Martin not only explored the dry deserts, but also cold and ice deserts in the Arctic and Antarctic. Since then he has undertaken more than 40 voyages and expeditions. The resulting “Desert Planet” project is presented in multivision format, as a photo book, as a TV Series and in the form of an exhibition. Michael Martin begins his “Desert Planet” presentation tour on 22 October 2016 and will be performing his fascinating multivision show until April 2017 in more than 100 German and 10 Austrian cities. For further information and ticket bookings please go to www.michael-martin.de.